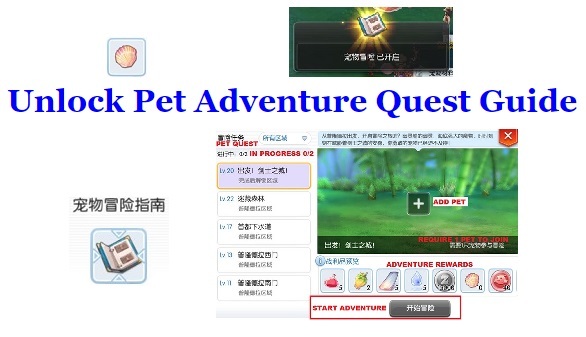 Guide to unlock pet adventure guidebook. 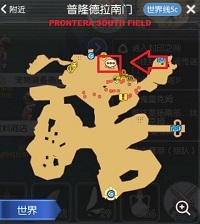 Talk to Agnes at Prontera South Field. Select 1st option, to proceed. You will need 1 pet reach Level 3 intimacy. 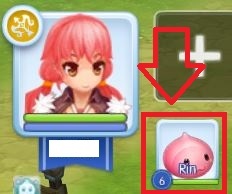 For beginner pet owner, just use the poring pet that you receive through previous quest. To increase pet intimacy, pat the pet, feed the pet or hatch the pet. 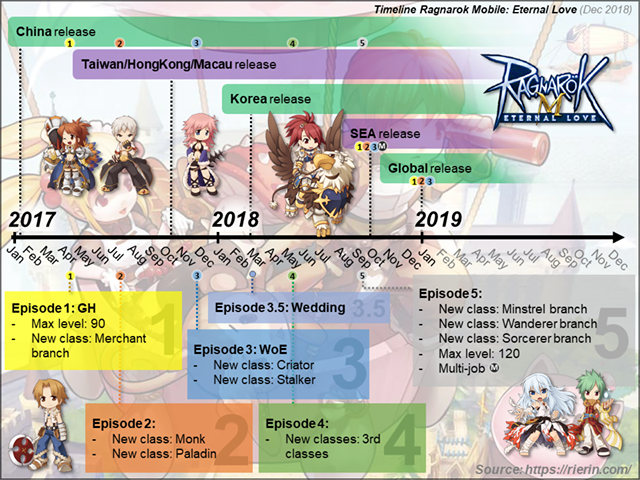 Poring eat Unripe Apple, buy Unripe Apple from Market, get from Endless Tower or buy at Pets Material Merchant at Prontera South Field with Rainbow Shell[七彩贝壳]. Hatch, pat and feed until level 3 pet intimacy. Report to Agnes at Prontera South Field. Use the Pet Adventure Guidebook from your inventory. 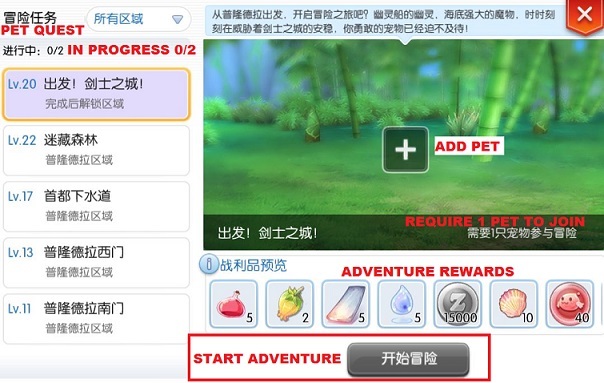 Pet Adventure Interface will pop up. Beware! Pet Adventure will consume your stamina! Match the Adventure recommended pet to get Rare Chest. Have chance to get Raccoon Leaf from Rare Chest! Open the Pet Adventure guidebook. Click the add pet icon. Pet need to be in egg form, rest the pet to store pet in egg form in inventory. 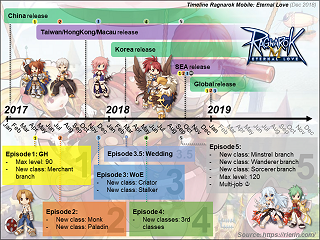 Some quest have specific requirement in order to have chance to get rare materials. 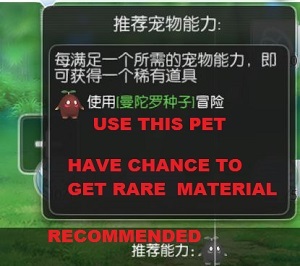 For example: This adventure recommend Mandragon Seed Pet, fulfill this recommendation to have a chance to get rare material.